When I discovered Irish author Tana French, my friends and family did not see me for approximately two weeks. I ate, slept, and breathed these books, people. I could not put them down. I HAD TO KNOW this very second what was going to happen to Detectives Rob Ryan and Cassie Maddox. And the conclusion? Woo boy. 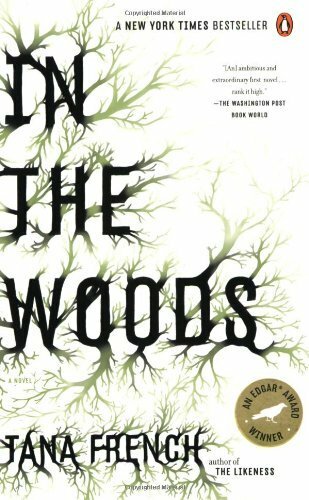 In the Woods has two central mysteries: one from when Ryan was a young boy (and a participant), and one that he is working now. When he was little, something happened to him in the Dublin woods. Don’t ask him, though, because he has no idea. He’s buried those secrets far below the surface, and when his other two friends vanished for good – he was the only survivor – he was of no use to the police. Twenty years later, he’s a detective himself, aching to bring the justice to others that he couldn’t bring for his friends. But when a young girl’s body is found in those same woods, the case brings back so many of the old ghosts. I adored the first 90% of this book, and then the ending happened. While I didn’t HATE it (a lot of folks did, apparently), I wish it had been different, and I can’t say much more than that in order not to spoil it. However, would I still recommend it? Yes, yes, yes. The writing was fantastic, the characters rich and complex, and the mood haunting and lovely. Still a must read to me (though I will knock it down for that darn ending). French’s second novel The Likeness moves Ryan’s friend and fellow detective, Cassie Maddox, to the forefront. I read this book over a month ago and I am still obsessing. More on that tomorrow….